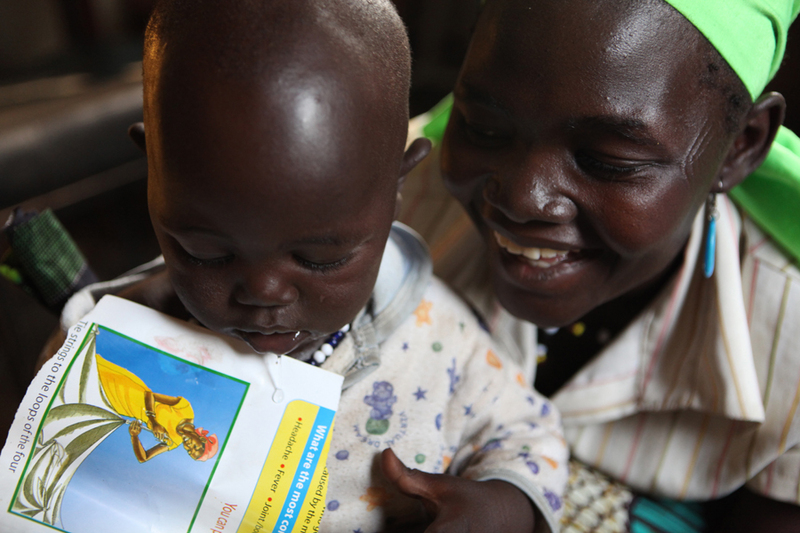 Mother and Child Health specialist at the Mvolo Primary Health Care Center (PHCC), Lucy Ndori, with her 9 month old son Abraham John. Lucy assists the midwives at the clinic with birthing and Ante-Natal Care at the PHCC. The Mvolo PHCC is supported by Save the Children and managed by the Government of South Sudan Ministry of Health.